No information about the mission’s purpose or its launch site were disclosed in an Air Force press release announcing the $29.2 million contract award last month. The mission is known as NROL-111. The Air Force’s Space and Missile Systems Center responded Wednesday to questions about the contract submitted by Spaceflight Now on Dec. 8, the same day as the center’s announcement. An SMC spokesperson said that Orbital ATK, the company responsible for launching Minotaur rockets, has proposed launching the NROL-111 mission from Wallops Island, Virginia. 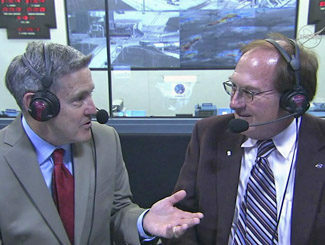 The spokesperson said details about the satellite slated to fly on the NROL-111 mission are classified. The terms of the contract allow for Orbital ATK to determine the timing of the launch, as long as it is within 24 months of the date of the contract award, the Air Force said. The NROL-111 mission will be the 12th launch of a Minotaur 1 rocket since it debuted in 2000, and the sixth Minotaur 1 flight from Wallops Island on Virginia’s Eastern Shore. 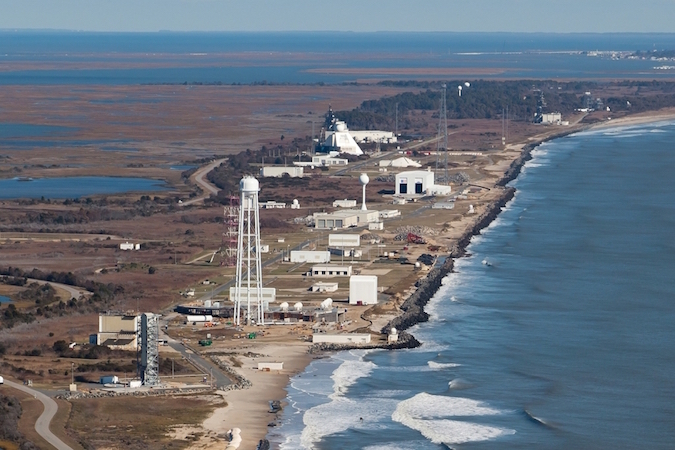 The commercially-operated Mid-Atlantic Regional Spaceport’s pad 0B at NASA’s Wallops Flight Facility is used for Minotaur missions from Virginia. Pad 0B lies about a quarter-mile (400 meters) south of pad 0A, the base for Antares rocket launches to resupply the International Space Station. The Minotaur 1 rocket can place around 880 pounds (400 kilograms) of payloads into a circular 500-mile-high (800-kilometer) orbit from Wallops, according to an Orbital ATK fact sheet. The type of orbit targeted on the NROL-111 mission has not been released. The four-stage Minotaur 1 rocket is comprised of the lower two rocket motors from decommissioned Minuteman nuclear missiles. Two commercially-produced solid-fueled Orion-class motors from Orbital ATK’s Pegasus XL rocket make up the Minotaur 1’s third and fourth stages. The more powerful Minotaur 4, 5 and 6 rockets use larger first and second stage motors from retired Peacekeeper missiles to put heavier payloads into orbit. Because the Minotaur rocket family relies on government-furnished rocket components, the launcher is restricted from competing for commercial missions, but it has carved a niche delivering small experimental satellites to orbit for the U.S. Defense Department. 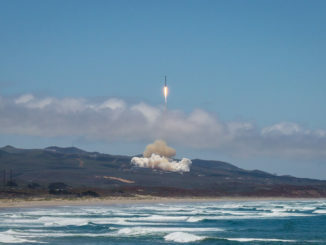 The Air Force awarded the NROL-111 contract to Orbital ATK under the Orbital/Suborbital Program-3, or OSP-3, program, which offers Minotaur, Falcon and Athena launchers from Orbital ATK, SpaceX and Lockheed Martin for the military’s small and medium-class satellites. The OSP-3 program has two lanes, one for lighter satellites and one for medium-class missions. The contract vehicle excludes United Launch Alliance, which delivers most of the military’s heavier, more costly spacecraft to orbit. 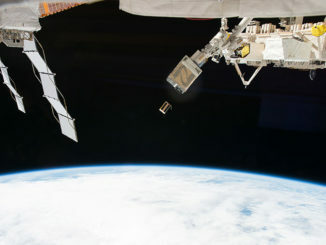 Since the Air Force selected the three launch providers for eligibility for OSP-3 launch contracts in 2012, the service has awarded two “task orders” to SpaceX, one for the Deep Space Climate Observatory, which launched on a Falcon 9 in February 2015, and another for the Space Test Program-2 mission with multiple satellites set to fly on a Falcon Heavy booster later this year. 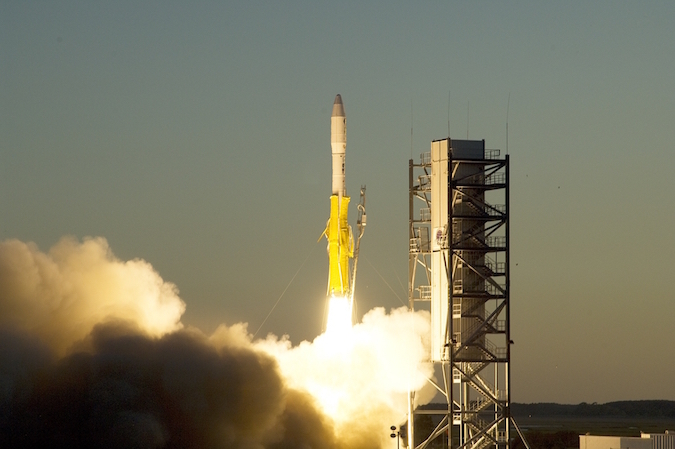 The NROL-111 contract was the third such order under the OSP-3 program. “Continued reliability of space vehicle delivery methods and affordable access to space for the National Reconnaissance Office is an essential forefront for space superiority. Utilizing the capability of the OSP-3 contract Lane 1 capability, immediately benefits our Department of Defense mission partners. The OSP-3 capability also holds great potential for SMC to provide assured access to space for future DoD missions,” said Lt. Gen. Samuel Greaves, Air Force program executive officer for space and SMC commander.